While looking through my overabundance of craft supplies, I discovered a treasure that I had purchased several years ago, but never opened: INKJET COTTON CANVAS. I have collections of digital images of Asian art and vintage photographs that I wanted to print, so I tried this material. I was absolutely amazed! The images looked as if they had been painted using oil paints on an artist’s canvas! The color and detail were perfect! Inkjet cotton canvas is real cotton canvas in convenient 8.5 x 11 inch (letter) size sheets. They are also available in A4 size for outside the US and as huge rolls (for professional printers). The Inkjet cotton canvas is coated on one side with a plasticizer that absorbs the liquid ink from inkjet printers. Note: Inkjet cotton canvas CANNOT be used in LASER printers. Tips for printing: Double check to make sure that you are printing the image on the SHINY side, not the canvas fabric side. Inkjet cotton canvas is thick, so feed one sheet at a time to make sure it goes through (I had no problem with my Epson printer, and the letter size for consumers is made for most inkjet printers). Once printing is finished, remove the canvas carefully by holding it at the unprinted edges because it is still moist and needs to dry for 5 minutes before touching the image surface. Pricing: I have found 3 companies that make Inkjet cotton canvas sheets. The average cost on-line is $15-$20 for 10 sheets; there is no need to pay higher advertised prices of $25. Make sure you are buying COTTON CANVAS, NOT PAPER CANVAS—both exist and can be confused. There are glossy and matte surface versions—I have only used the glossy surface, and I am happy with the results. Note: Inkjet cotton canvas has no adhesive on the back, so choose an adhesive that you would normally use for fabric (strong double-sided tape runner, glue stick, or fabric glue). I don’t know anything about Xyron machines—but do NOT run the printed canvas through any machine that will heat the canvas and melt the printed surface. 1. Inkjet cotton canvas is perfect if you want to print an image to use together with your stamped designs or if you make mixed-media artwork or collages. 2. 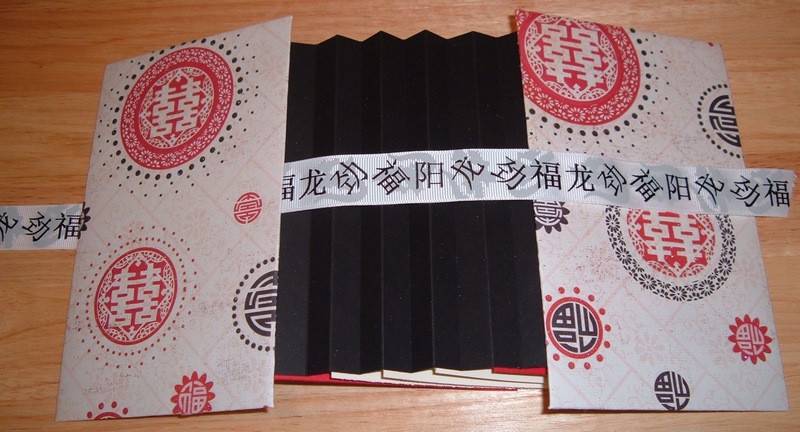 It is often difficult to have the time and materials to duplicate an especially good card that you wish you could have more copies of (as future Christmas or birthday cards!). 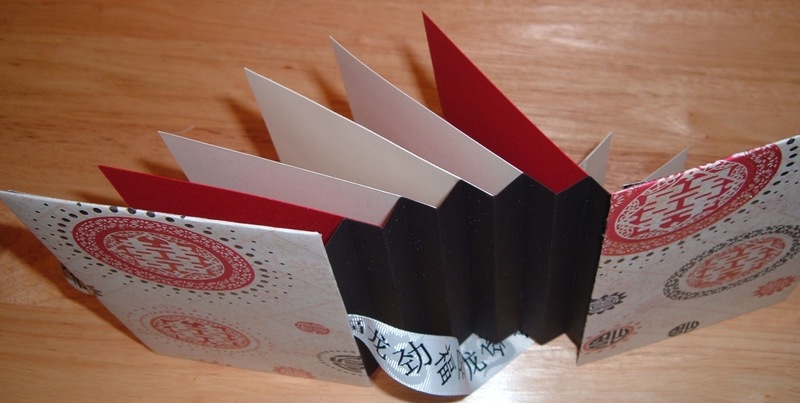 Therefore, Inkjet cotton canvas is also perfect if you want to scan and reproduce a favorite or unique card that you made. How did I use the Inkjet cotton canvas? 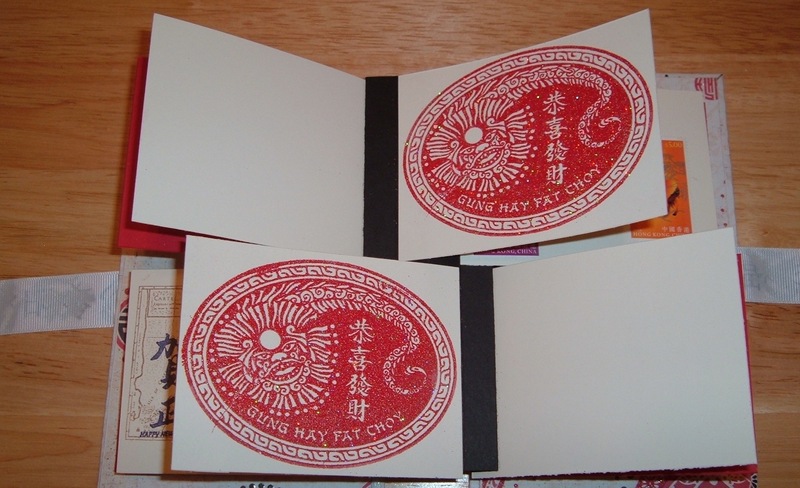 I wanted to print my collection of images of Asian artworks of the “Madonna and child” to make ATCs as hanging ornaments. Since these images represented real works of art, I would normally print them on cotton cloth, not cardstock; but when I used the Inkjet cotton canvas, the images ‘jumped out’ looking like real oil paintings. The result is quite beautiful! 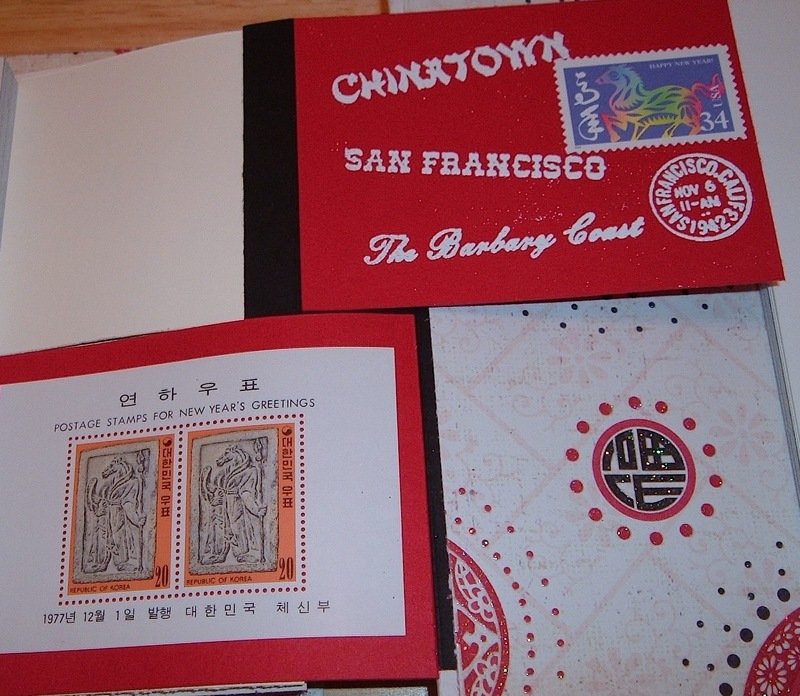 PS: If anyone would like a sample of my “Asian Madonna & Child” ATCs using Inkjet Cotton Canvas, before buying a package, just send me a message with your postal address and preferred country (China, India, Japan, Korea, or Macao) to: L7ELLIS@yahoo.com. Unfortunately, the magazines I like are all out of print, now that there is so much available on the Internet. I collect postage stamps and coins. I love the amazing calligraphy and engraver’s art on banknotes and stock certificates (sometimes called “notaphily” and “scripophily”). I also study “zymurgy” (the last word in the English dictionary). Zymurgy is the science of enzymes/yeast, or a very fancy way of saying I like bread, beer and wine and how they are made! Postage stamps from around the world and vintage, 19th -photographs (I have a huge digital collection). I am self-taught. 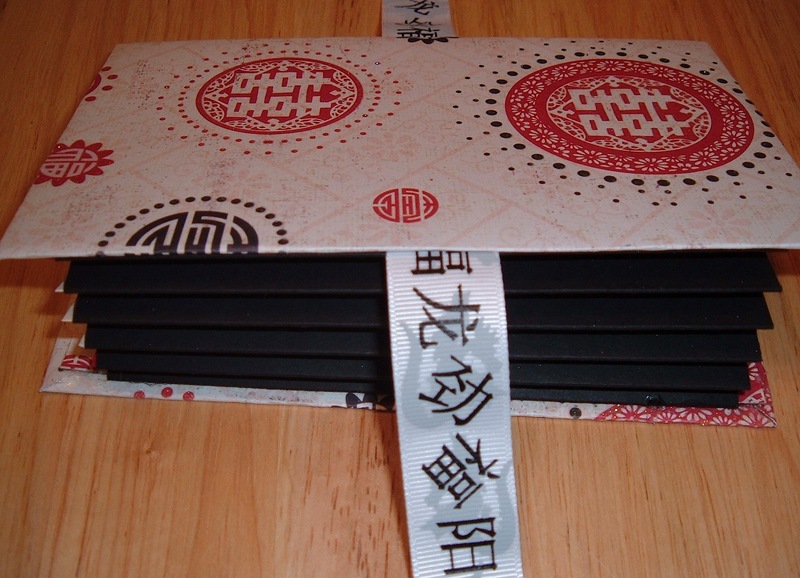 I have studied and taught the history of ancient and Asian art. There is too much information on the web to comprehend. I have found YouTube especially helpful because I have never taken an art class and there are so many wonderful artists willing to share their techniques and ideas. To be honest, I’m not really creative and art-making is very difficult for me (I get by with being good at design—color matching and layout). Also, believe it or not, I have actually found “window shopping” Etsy as a source of inspiration—it’s amazing what people create and the new ideas one can find. I teach full-time at the college level. I am happily married since 1989. My only family member is my mother who is 89. We have a Chihuahua and a grey tabby cat (who plays hockey with my wood-mounted stamps, if I’m not careful to keep them out of reach). We have lived in San Francisco since 1987. •Measure three times, then cut once! 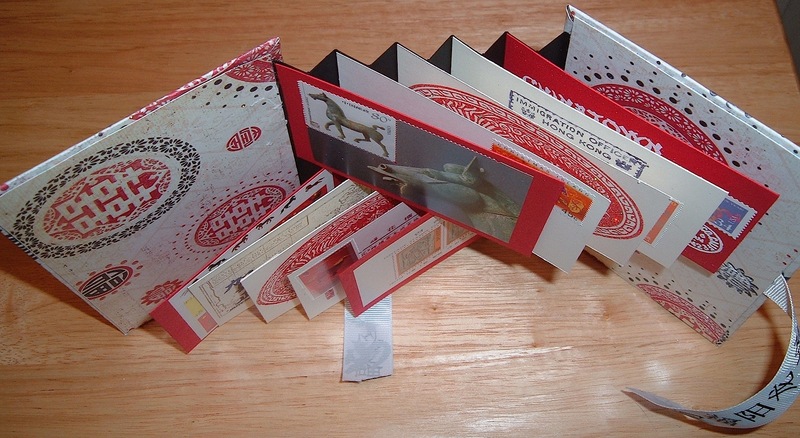 •Decorate the flags (pages) before gluing onto the accordion fold. 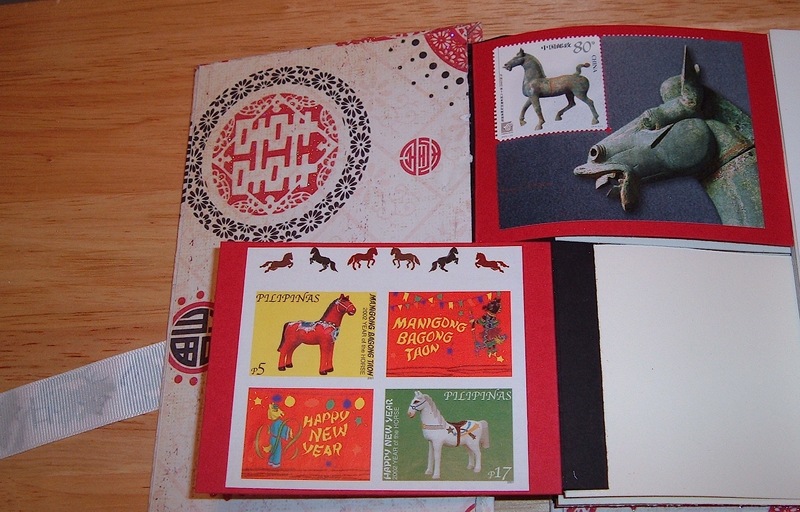 I did not have any rubber stamps especially for the Year of the Horse, so I supplemented the rubber stamps I could use for this project with postage stamps specifically for the Year of the Horse. 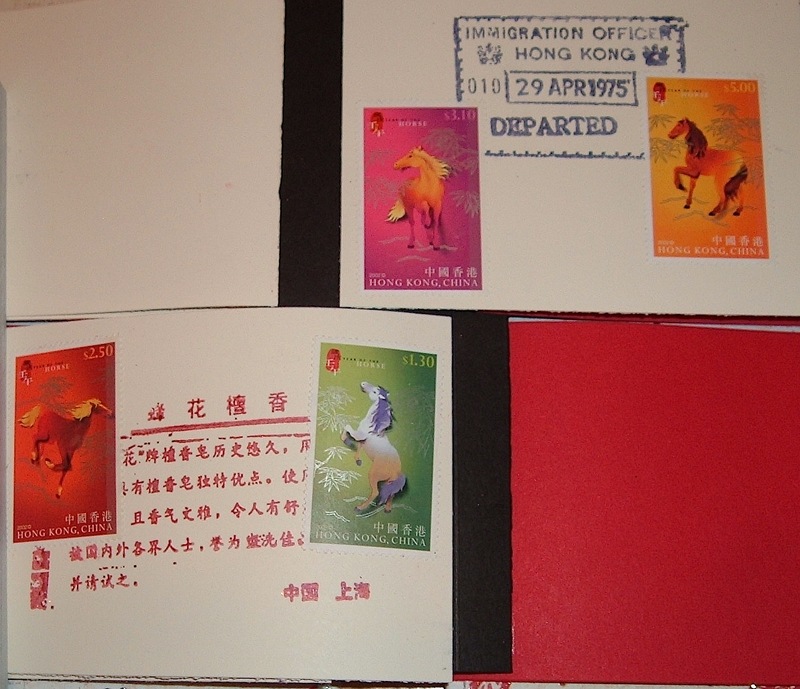 Many countries around the world issue stamps for the Lunar (“Chinese”) New Year, not just Asian nations. 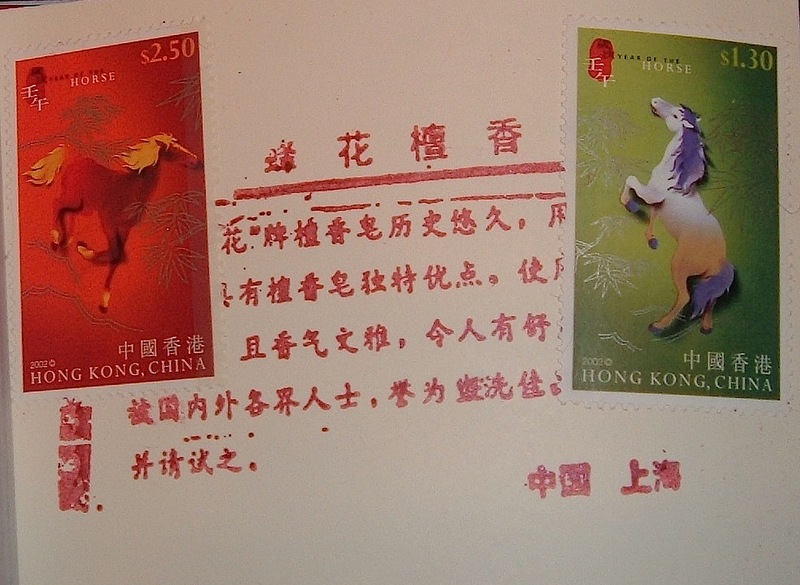 However, most nations do not issue stamps for every animal in the zodiac. 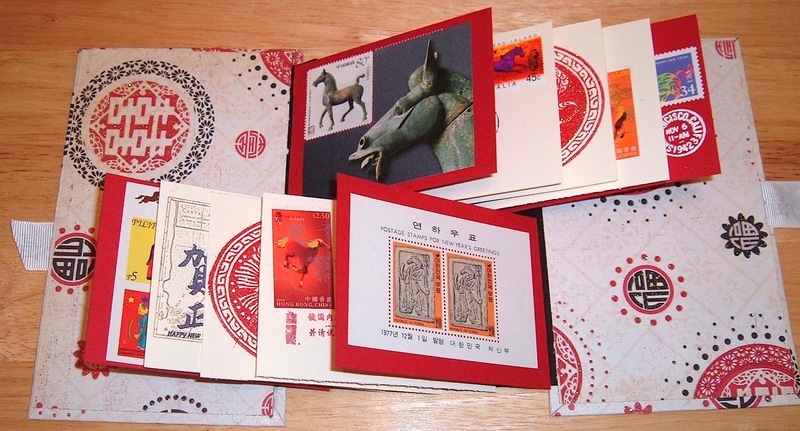 Therefore, many of the stamps I used for the Year of the Horse are dated from earlier Years of the Horse in order to get a variety. 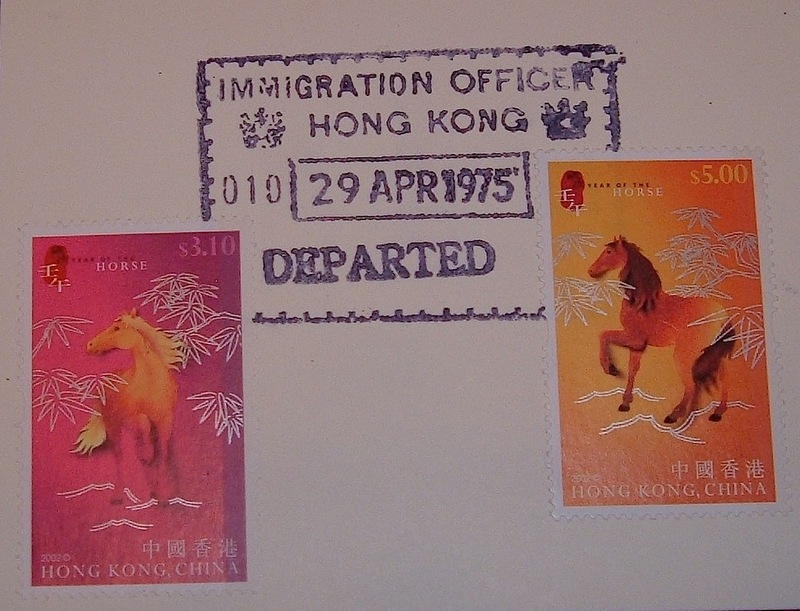 Note the small horse stamp from the Ryukyu Islands (Japan) that only issued stamps while under American occupation. Below is a short history on Christmas Island and the Ryukyu Islands, which may be unfamiliar. The English Captain William Mynors named the island when he sailed past it on Christmas Day in 1643. The United Kingdom transferred control of Christmas Island to Australia in 1957. The population is 70% Chinese, 20% European/Australian, and 10% Malay, and the main language is English. In 1958, the island issued its own postage stamps after being put under Australian custody. 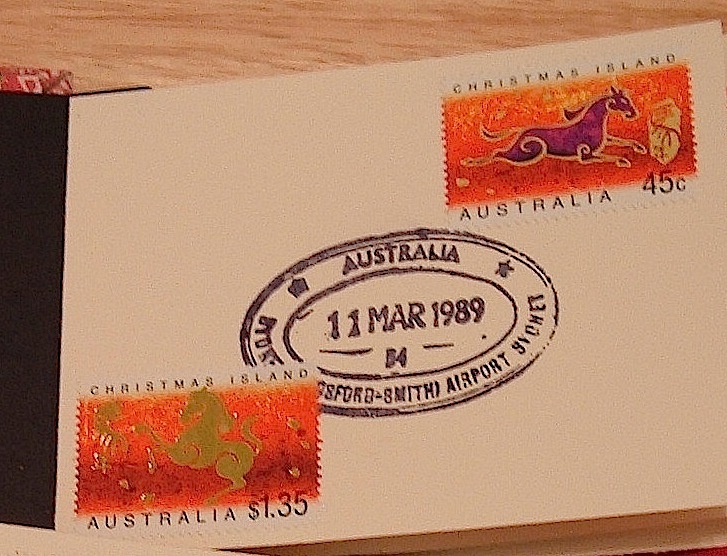 This ended in 1993 when Australia became the island’s postal operator—that’s why both “Australia” and “Christmas Island” are printed on the stamp and why I used the Australian rubber stamp. In my opinion, Christmas Island issues the most creative stamps every lunar year. 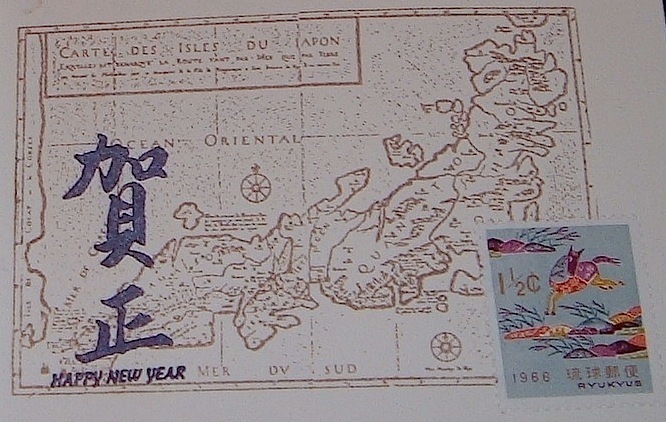 The Ryukyu Islands (琉球諸島 Ryūkyū-shotō), known in Japanese as the Nansei Islands, meaning “Southwest Islands.” The largest of the islands is Okinawa. The people of the northernmost Ōsumi and Tokara Islands are ethnically Japanese and speak a variation of the Kagoshima dialect of Japanese. The Amami, Okinawa, Miyako, and Yaeyama Islands have a native population (Asian, but not Japanese) called the Ryukyuans, named after the former Ryukyu Kingdom that ruled them, and each of which has its own distinct language (but Japanese is the official language). During World War II, all Ryukyu Islands (not just Okinawa) came under the occupation of the United States military in 1945, and a civilian government was set up under American control in 1952. The islands reverted back to Japan in 1972. The first postage stamps of the Ryukyu Islands were issued on July 1, 1948, with the start of US occupation. 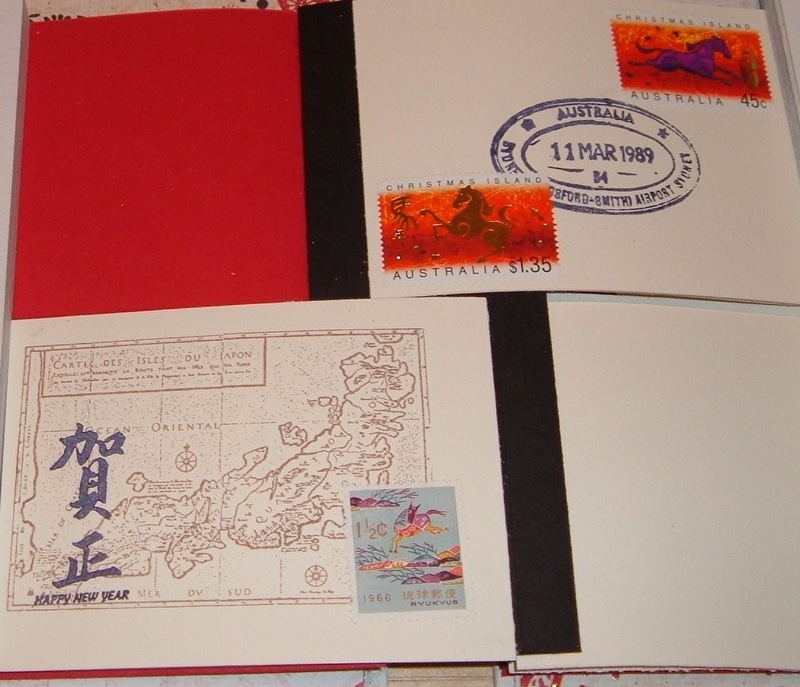 The last Ryukyu Island stamp was issued on April 20, 1972, when control was returned to Japan and only Japanese stamps were legal—that’s why I used rubber stamps with a map of Japan and “happy new year” in Japanese with the Ryukyu postage stamp. Congratulations Linda, I have always loved your artwork!! Enjoy your SAM, well deserved! First of all- it is nice to know more about you. Wow- this is an amazing project- and I love to hear all about your hobbies. I have never heard of this canvas, and will have to look it up and give it a try! Thanks for sharing : ) Congrats for SAM! What an amazing project you have created for ll of us to view and appreciate…and your bio and lessons you shared with us are spectacular! Thank you Linda for being so generous with your knowledge…enjoy your month in the limelight! Well deserved! Linda congratulations on being the 1st Stamp Artist of the Month in 2014. 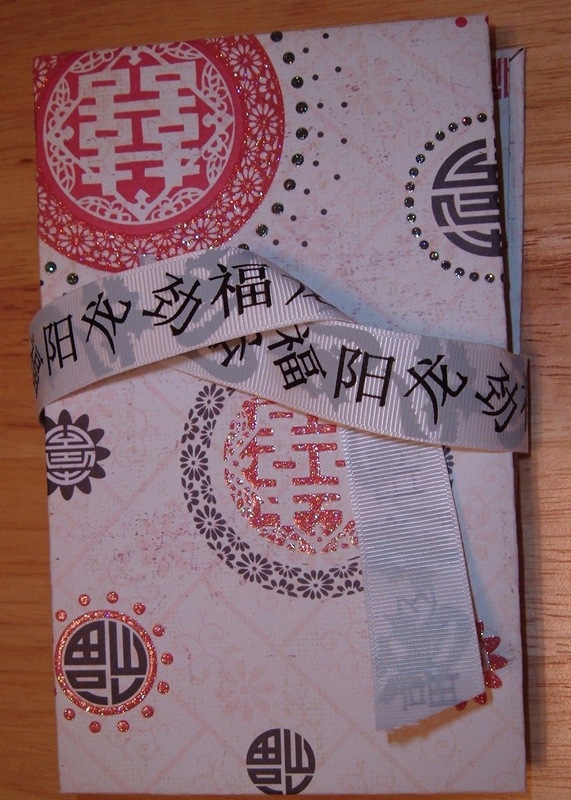 Wow you made a wonderful flagbook, lots to see and some nice stamps tooo. Here in the Netherlands the stamps are not that great, we do not have year of the zodiac at all. Belated congratulations Linda on a wonderfully colourful and exacting project! It i beautiful! I loved reading your bio, and the details of using injet canvas. Amazing! Postage stamp art is beautiful and my husband has a collection of mainly Victorian stamps and postal history. I used to collect thematic stamps of shells! TFS your knowledge an art! Linda, I missed your project earlier but it was well worth the wait as it is fabulous. I just returned to OSA after a long hiatus and was pleased to see that you are back and active too. BRAVO.